Welcome to our blog where we will keep you up-to-date with all that is happening in the school and post pictures of our students and life around the school. 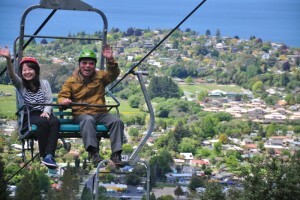 Because Rotorua is so centrally located, it is incredibly easy for students to travel around the country at the weekends. 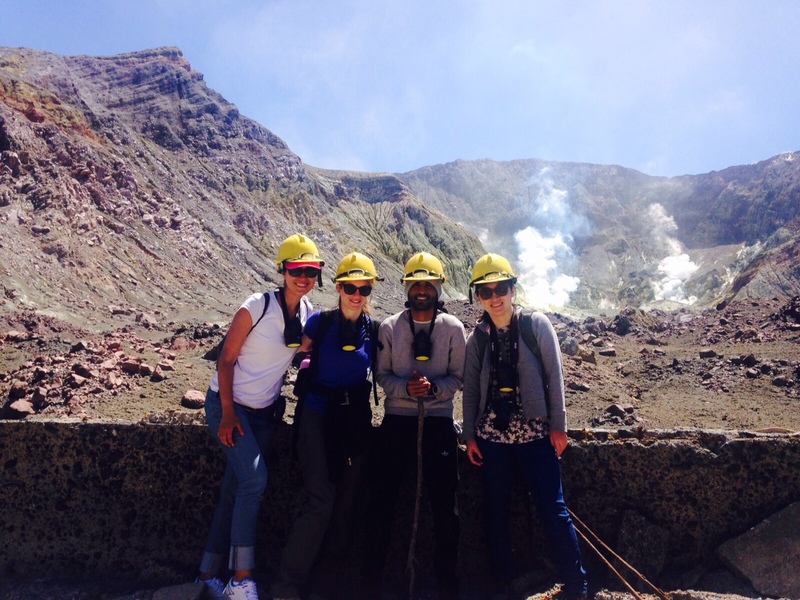 Recently a few of our Swiss students – Rita, Nina, Lisa and Florian – walked the spectacular Tongariro crossing. 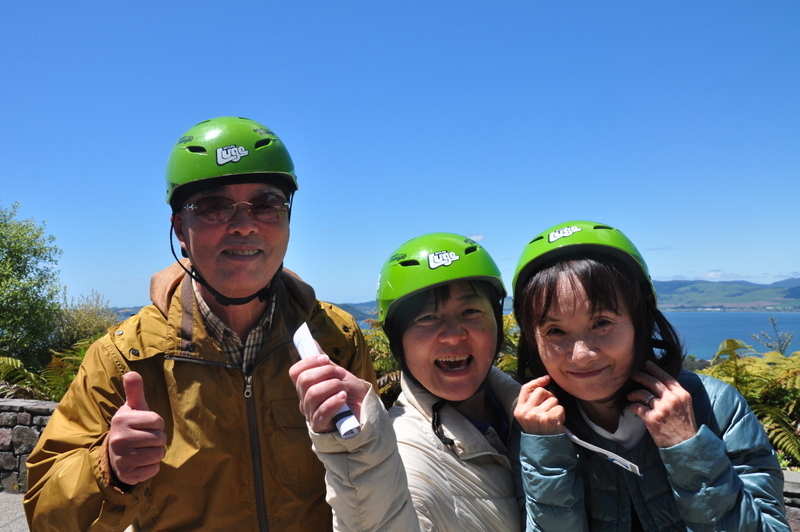 Lisa then organised a day trip for another group of students (Luz, Abdul and Atsuko) to visit White Island, New Zealand’s most active volcano. On Friday the students got to try their luck at pistol shooting, knife throwing, archery and short golf! Their aim wasn’t always perfect but that just made the afternoon all the more enjoyable! Check out the fun we had up at the Gondola and Luge for last Friday’s activity. The weather was superb, the ice creams delicious and the views were unbelievable. Even Aaron and Shingo managed to conquer their fear of heights for the afternoon. Well done boys 🙂 You can find more photos of the afternoon on our Facebook page. 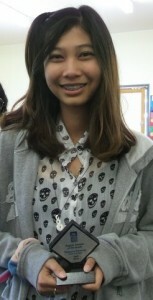 Our very well deserving ESOM for September was Rina Hirayama from Japan. In October , the award went to Luz Bernal Jaimes from Colombia. 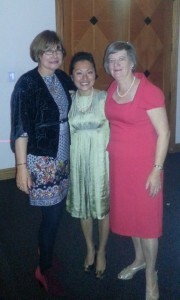 Thank you, lovely ladies, for all your hard-work using English around the school and for the leadership you have shown. 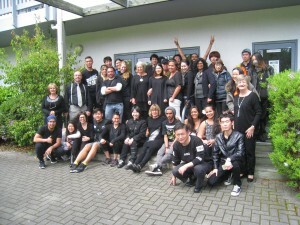 On Friday we all dressed in black to support the All Blacks. And…it worked! The All Blacks managed to win the Rugby World Cup after a rather tense final against Australia. Woohoo! 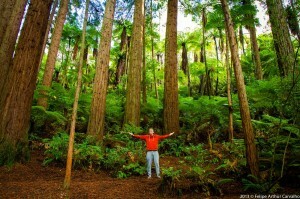 Spring is the most beautiful time in Rotorua. Our gardens are looking stunning at the moment. Thank you, Judy. 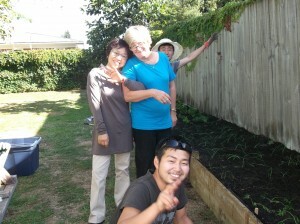 A special thank you, too, to Masaaki who has been at work in the vegetable garden. Robyn asked her afternoon Integrated skills 2 class to think of their ideal world. We were blown away by their ideas. Wouldn’t it be great if this world became a reality? Recently, four of us decided to go to Coromandel. 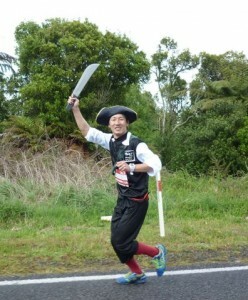 We set off on our journey on Friday 5:30 pm and we arrived in Coromandel at 8:30. It took us 3 hours to get there. The first thing we did, was rent a motel to stay that night so we could start looking around the town the next morning. The next day we went to Cathedral Cove and we saw the most amazing view in NZ. The rocks were incredibly awesome. The design of them was unbelievable and the place was so quiet and perfect to relax and have some time with yourself. Right after that we went to Hot Water Beach. It wasn’t that far away from Cathedral Cove, it only took us 15 minutes to get there. It was the perfect time because when you go there, you should choose the right time to go because if it is in cold weather, that would be pointless. 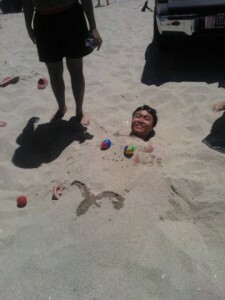 Anyway, we swam in the beach and we dug some holes and buried ourselves in them. 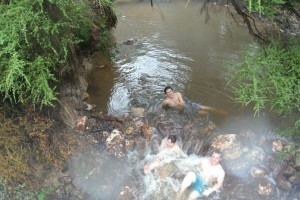 The water was quite warm and perfectly fabulous to swim and to bury yourself in. 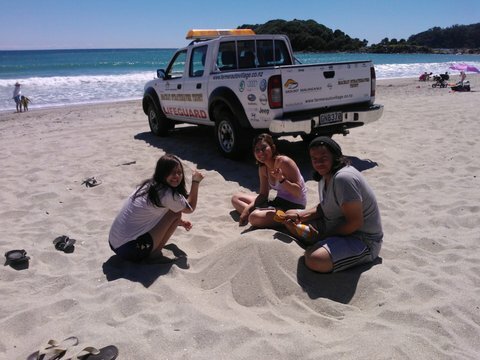 I went to Coromandel, which is in the north of the North Island in NZ, with some friends. I was sleeping the whole time on the way there. When we got there it was night so we just looked for a motel. We found a good motel and we stayed there one night. The next day we got up at 9a.m. and then checked out of the motel and looked for another motel and found a lovely one so we decided to stay there one day. After checking in, we went to the beach. It was awesome but the weather was not so good so I just took off my shoes. The view and beach were awesome but the path which took us to the beach had many steep bits so it made me exhausted. Following Coromandel beach, we went to Hot Water beach. It was freezing but two of my friends swam in the sea. We caught up with other friends there and we decided to have a barbeque so we went to another beach. It was really cold but I enjoyed the barbeque with them. After that, we went back to the motel and the next day we got up about 9a.m. and then went to ride on an old train. The weather was really nice so we could see very beautiful views. 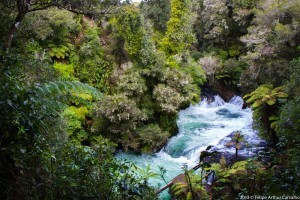 After finishing, we went back to Rotorua and I arrived my home about 5p.m. All the way back, I was sleeping. A few weeks ago six of us experienced the walk to the other side of the lake. It was a very beautiful walk with great views of the lake and forest. The wilderness with the native New Zealand plants is amazing. We took our lunch with us for a picnic near the lake. It is an easy track in a hilly and gorgeous landscape. There are a lot of markers which keep you on the right way. At the end you will arrive on a hot water beach where you can swim and relax. If you like, you can walk back, but we took the water taxi. You should book this one day before. Back at the carpark there is a restaurant where you can round off your trip. On Monday October 5th, ten RELA students were invited to speak to ‘Parksyde’ Travel Club and bring them some real-life and personal information from the outside world. Susanne’s morning and afternoon classes “volunteered”. The morning was a huge success. Susanne was told that it was the best morning they had had for a long time, and they also enjoyed the juicy Saudi dates. All the speakers were brave. That’s a huge achievement. Public speaking is not a joke! Every year Rotorua holds an annual tulip festival. Colleen took some of the students out on the Tulip Trail. I think you’ll all agree that the town looks beautiful. To mark the start of spring (it seems to have been a REALLY long winter) we recently held a Friday fun day at the school. 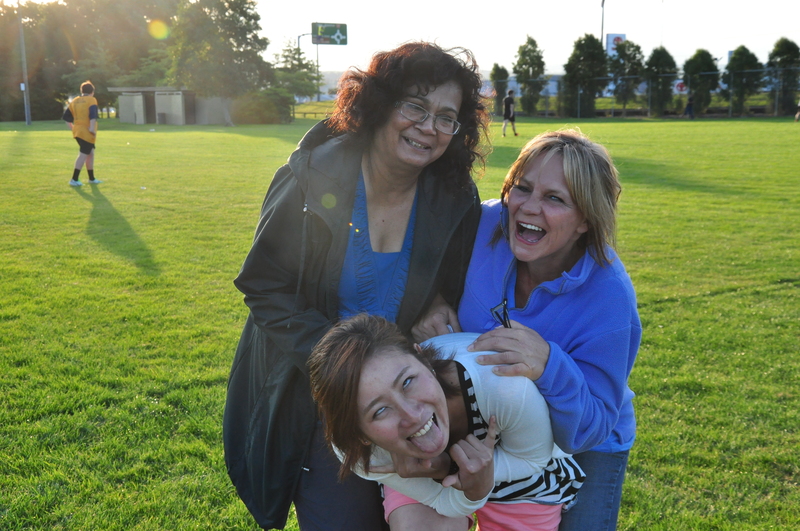 We played some old fashioned games which really brought out the child in our teachers! This was followed by a barbeque very ably cooked by our Saudi boys (with a bit of help from Teri J) Our lovely Saudi boys also cooked delicious Kabsa for everyone. Yum! The weather didn’t totally behave for us but we still had fun. Well done to our most recent ESOM speakers – Gun (July) and Nana (August). Keep up the good work, guys! We really try hard to fundraise at RELA. In March we decided to take part in the annual Shave for a Cure fundraiser. Shave for a Cure is Leukaemia & Blood Cancer New Zealand’s (LBC’s) signature fundraising event. Each year thousands of Kiwis become Shavees in a bid to raise money to help patients and their families with blood cancer or a related condition. Shave-tastic! Hundreds of New Zealand individuals, businesses and schools have whipped out the clippers, chopped off their locks and organsed events across the country over the years! This year David and Khalid decided they would shave their heads and asked for donations. Boys, you are a true inspiration! Thank you to all our wonderful students, staff, Si (who generously gave up his time to shave the boys) and friends of RELA who helped us raise $500 for the cause 🙂 Woohoo, you are all superstars! We were delighted to be able to award the two of them with our inaugural trophy for leadership. Well done boys and best of luck in Auckland. You have left a huge hole in the school and we’ll miss you both so much. Crankworx is just over a month away and we can’t wait. Crankworx is the biggest mountain biking festival in the world. It is famous for bringing together the world’s downhill, slopestyle and enduro legends with the superfans, rising stars, industry innovators and the next generation of mountain bike riders. From March 25 – 29, 2015, Rotorua will host five days of out-of-this-world action, throwing down the best mountain biking pro athletes on the planet for competitions, concerts and culture. It’s the perfect time for all you Mountain biking lovers to come and brush up on your English while enjoying all the action of Crankworx in your free time. 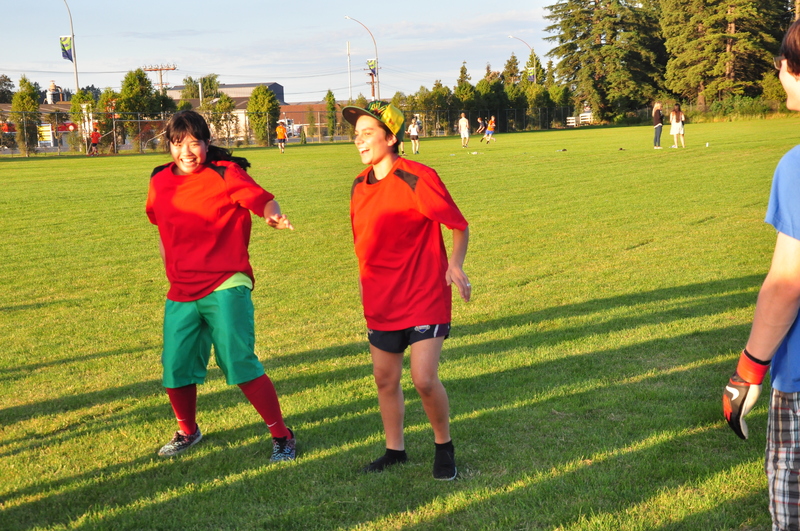 Yay…Social Soccer season is here again! 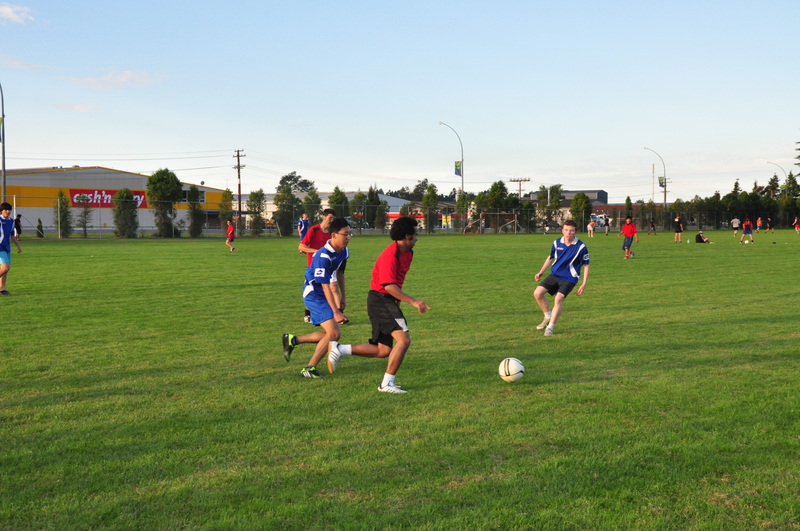 The social soccer season is underway again for 2014/15. Our team is again being ably led by Moha. Our first game didn’t go quite as planned as we lost 3-1 to our nemesis from last season! However, the team played brilliantly and we’re hoping for better results in the coming games. Most importantly they all had a great time. As I said in an earlier post, spring is finding it hard to shake off winter’s grip. However, we have seen some sunshine this week and Pablo, Manon, Matteo, Shaun and Markus have been making the most of it and enjoying the spring flowers in our garden. 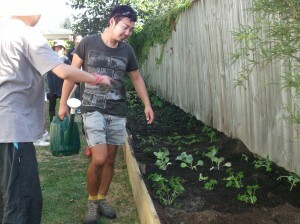 Aya and Chris have even been out getting the vegetable garden ready and…we even have passion fruit on the vine. Roll on summer…we’ve missed you so much! 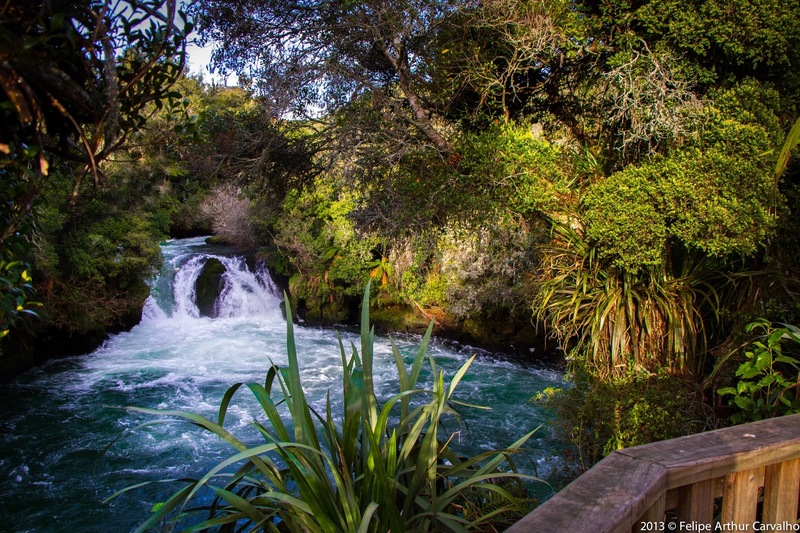 Rotorua has so many wonderful hot pools to relax in and some of the best are FREE. The Secret Spot a.k.a Hot and Cold or The Bridge can be found about half an hour from the central city. Two rivers one hot and one cold meet to form the perfect place to relax and unwind. Markus, Manual, Johannes and Kaho went and checked the spot out the other day. One of the most popular after school activities at RELA are the Forest Walks. 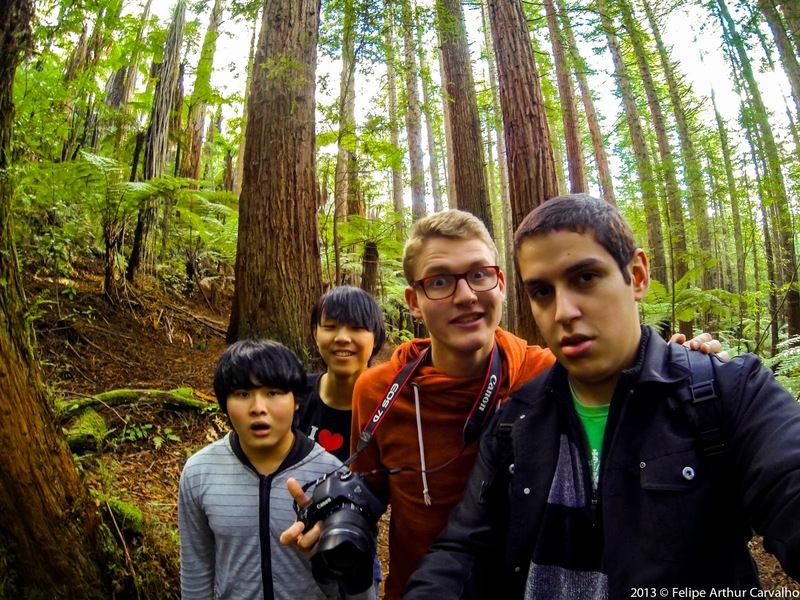 Lana recently took the students to the spectacular Okere Falls and the Redwoods. Our latest two hard-working KPMG students, Ryuuske and Takuro, have just left. RELA is fortunate to welcome staff from KPMG each year for intensive courses to help them improve not only their business English but also their communication skills. Each student studies in our regular classes for 5 hours a day before then having 2 or 3 hours of intensive one-to-one tuition!! Needless to say the change in their English at the end of the four weeks are quite amazing. We wish you both well back in Japan and hope all the hours of study you’ve done on your English pay off. Congratulations Manon, Markus, Mohammed Saleh and David! 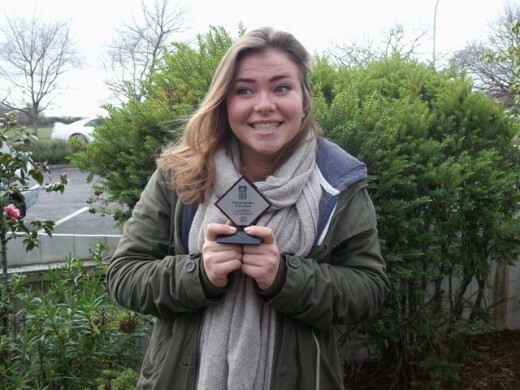 Congratulations to Manon for being September English Speaker of the Month. Congratulations, too, to Markus for winning the RELA I-graduate spot prize. 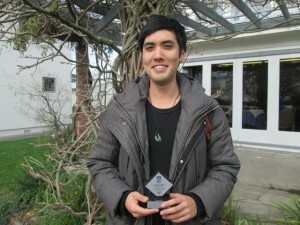 The I-graduate survey is a survey of students studying in language schools throughout New Zealand. It is an opportunity for our students to tell us what they think of their education experience at RELA. Each student’s response, together with the responses from others, helps us to improve the student experience for current and future students. To encourage students to participate in the survey a series of prizes are offered for ALL students completing it. We wanted to make it a certainty that one of our lovely students won a prize so we asked the I-graduate people in the UK to randomly draw a name from those RELA students who have completed the survey. Markus, from Switzerland, was the lucky winner. He won a $60 voucher for a meal at a restaurant of his choice. A great prize for a foodie like him!! Congratulations must also go to Mohammed Saleh and David, our two finalists in the recent Table Tennis tournament. It was a hotly contested final with young David finally getting the better of the more “experienced” Mohammed Saleh. Well done, gentlemen!! Spring is here…or at least that’s what the calendar says! To celebrate we held a shared lunch and christened the pizza oven. It was a fabulous afternoon, despite the not so spring-like weather, of delicious food and wonderful company. We even had a visit from a surprise guest…Labour Party candidate Tamati Coffey. We managed to raise $126 for the cause and, as always, had a lot of fun in the process. Rotorua is already considered one of the world’s best mountain biking locations, and from next year the city will host the world’s biggest mountain bike festival. Crankworx Rotorua will run from March 25 to 29 next year. You may not know the name, but in the world of mountain biking they don’t come any bigger than Crankworx. 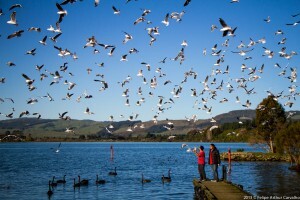 No other festival draws more spectators or media exposure, and from next year that attention will focus on Rotorua. Crankworx has just completed its 11th year in the Canadian resort of Whistler. The event is a mix of the best downhill, enduro and freestyle events. Awesome for spectators and competitors alike. Come and study with us at RELA in the mornings and then go out on the trails in the afternoons. You’ll have an absolute blast! Those of you who have studied with us in the past will know that the stairwell can sometimes get quite scuffed up from bags as students run to get to class on time 🙂 In order to try and stop this and to beautify the hallway, Susanne, Rita, Ikuko and Una, along with the help of our star handyman, Rod, designed and painted a hardboard border to run along the hall. It looks stunning and is certainly working. No more dirty scuff marks! Oh my goodness! Where has this year gone? I can’t believe it is August already and I haven’t updated the ESOM pictures for so long so here they are… Teipo from Tahiti was the April ESOM, in May it was Ayae from Japan, while in June and July it was two of our Saudi boys – Ahmed and M (Mohammed). Well done to all of you for the awesome effort you have made in speaking English at all times around the school. On August 1 we had to farewell this year’s group of IBC students. Each year we have the privilege of welcoming a group of students from International Business College (IBC) in Fukuoka, Japan. Students at the college are studying to find careers in the travel and tourism industry. There is rigorous application and selection process which means only the best of the best come. Those students lucky enough to be selected come to RELA for 4 months each year to study English and then spend another 7 months in New Zealand doing work placements at hotels. 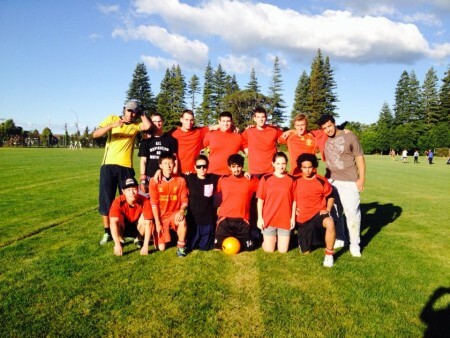 This year the students are working at hotels in Taupo, Auckland and Mount Cook. Farewell and good luck Kanako, Mizuki, Takeshi, Chisa and Mei. We miss you! Once again a group of brave (crazy) students, led by Lana, took part in the Heart Stopper Challenge at the Rotorua Aquatic Centre. This is the third year that RELA has taken part in this fundraising event which sees teams take a 5 minute plunge in icy cold water. 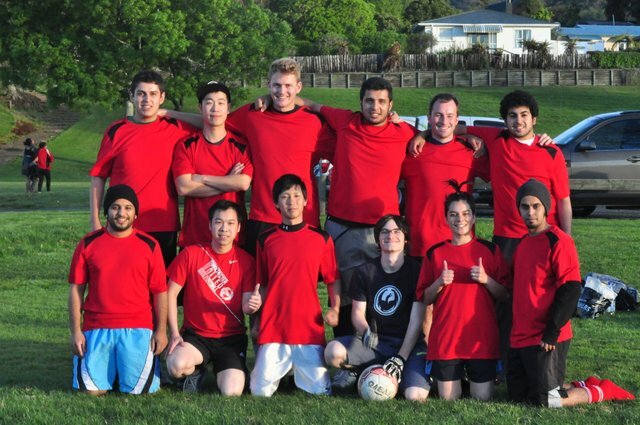 Teams are sponsored and all the money raised goes to helping children with heart problems. In NZ 12 babies a week are born with a condition that has no cure. RELA won the best dressed best school team and best singing! 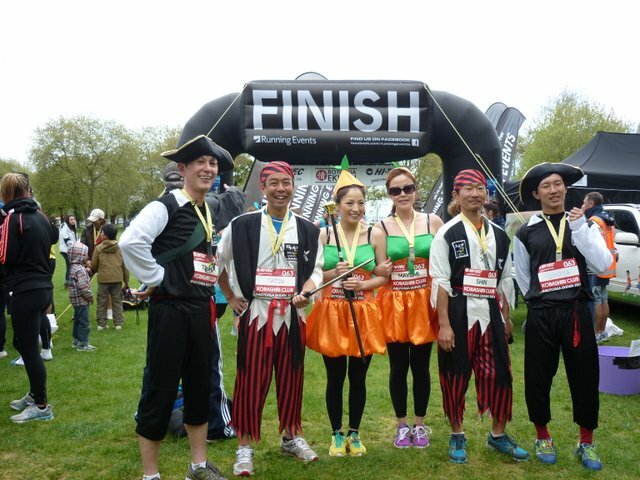 Well done Ahmed, Takeshi, Miu, Aika and of course Lana! You’re all stars. Also a huge thank you to the supporters who showed up. 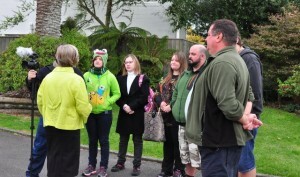 Here are some pictures of the team who even managed to get their picture taken with the mayor of Rotorua, Steve Chadwick. Susanne, one of our wonderful teachers and budding photographer :-), recently went for a walk around the central city and photographed a number of changes that have happened recently. Some of these changes include the yarn-bombing of the city, murals which have gone up on a number of new buildings and a number of wooden sculptures that have appeared. 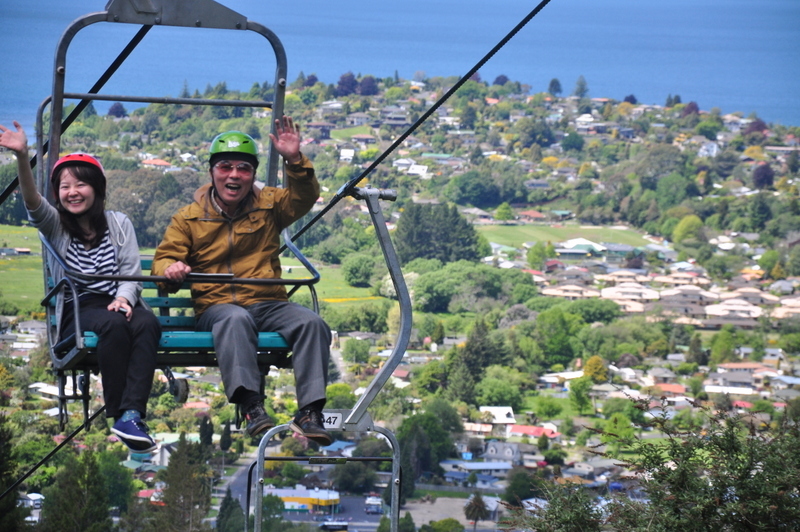 The aim was to show ex-Rotorua locals how the city is looking these days. We thought you might like to see too. Despite it being a cold winter’s day, I think you’ll all agree the changes are for the better and all look wonderful! March 29 saw RELA celebrate our 21st birthday with a lunch in our beautiful gardens. The lunch was held to say thank you to many in the community who have supported us over the years and also for our current students and past staff. We were also lucky that the occasion coincided with a visit from Carolyn Blackmore of Quality English. Chris Leckie and Elaine Brewster opened the school in Elaine’s house in 1993. The school moved to its present site in Pukuatua Street in 1995. The school expanded steadily, adding a new classroom block and student common room in 1997 and extra rooms in 2002. Student numbers range from 40 – 50 during quiet periods to 150 – 180 at busy times. In the 21 years we have been operating the school has welcomed over 12,000 students. Many of the staff have been with us for many of these years. Susanne started with the school in 1993 and Robyn and Angela followed soon after in 1994. You can read a lot more about the history of the school in our RELA Press newspaper which was put out to mark the occasion. Check out our clever ESOM students. Our wonderful students have recently been involved in some fundraising efforts and we were just thrilled by their generosity. We also did some fundraising for the Oxfam Trailwalker http://www.oxfam.org.nz/landing/trailwalker.html?gclid=COra8rrqzL0CFY5cpQodZRwAZA This is an international event where teams of 4 compete together to walk 100kms! It is a brutal event and Elsa was in the support crew for one of the local teams. To help them, she did a bake sale where yummy sweet treats were sold to our students and the local community. 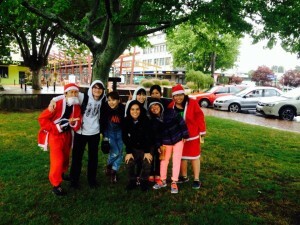 Elsa managed to raise over $360 for this – most of it coming from our RELA students. The team she was supporting managed to complete the event in under 18 hours. This is an absolutely amazing achievement. Well done Elsa for getting behind such a good cause. Every March for the past 11 years we have been lucky enough to welcome a group of girls from Sendai Shirayuri Girls’ school in Japan. The girls visit us for about 10 days and take part in our Tour Group programme. They study English in the mornings and go out on activities in the afternoons. They also spend a day at one of our local primary schools – Kawaha Point Primary. This is a highlight for both the girls and the pupils at Kawaha as the Japanese girls spend the day teaching them Japanese songs, games and about Japanese culture. 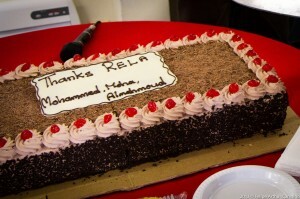 For the homestays and the RELA staff the undoubted highlight of the tour is the farewell party. The girls have the most beautiful singing voices and perform a small show of traditional dancing and singing for our staff and the homestay families. 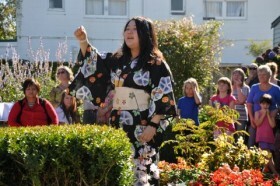 I think you’ll agree that the girls performing in their yukata in our RELA garden look just stunning. Here is the school posing for a photo in the Indian summer we are experiencing at the moment. Happy Birthday, Chris, from everyone at RELA. I had have only six weeks in RELA ,long time ago , in 2007 ,after my first contact by letter in 2003. Today seven years after , I back to my nice city Rotorua to see my teachers and all RELA Staff .Yesterday after arrive in Auckland my first mind was to rent a car and run to Rotorua . Why… in six weeks I learn to love so much my school and my lovely city…. why .. 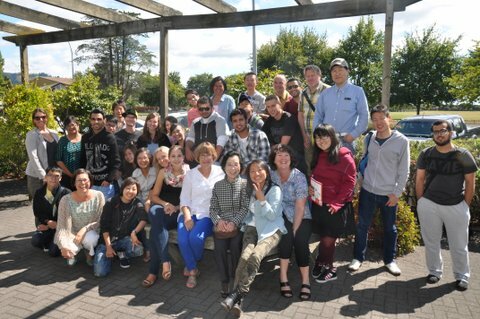 I miss a lot my time here ,I never forget that short ,but beautiful time with my friends ,my teachers and all in RELA and Rotorua too … Hugs to all RELA community. The competition is over and we’ve been till the semi-final and that was awesome !! We started on 10th of January and we kept doing well for almost 3 months anyway this is the football there must be a loser in the match however we have achieved a lot of positive points such as meeting a d…ifferent people in our team and in the other teams as well moreover we have known each other more and more that will make a good memorise for us in the future hopefully .. The point and the most important thing is being at rela team was for fun more than a competitive thing ..think about it wherever u r from.. how many people have u met during the tournament ?! And this what we need in NZ .. I mean meeting a different people from different cultures also I big thanks to all people who played in RELA team from Saudi Arabia , Brazil , chilli , Spain , Japan , Switzerland , New Zealand ..
On behalf of all RELA, we’d like to say a huge thank you to you, Moha, for being the driving force behind the team, and also to Medu, Fifi and Mohammed Saleh who were with the team throughout the whole competition. Unlike most schools in New Zealand, RELA doesn’t close over the holiday period. We are open everyday except for the Public Holidays. 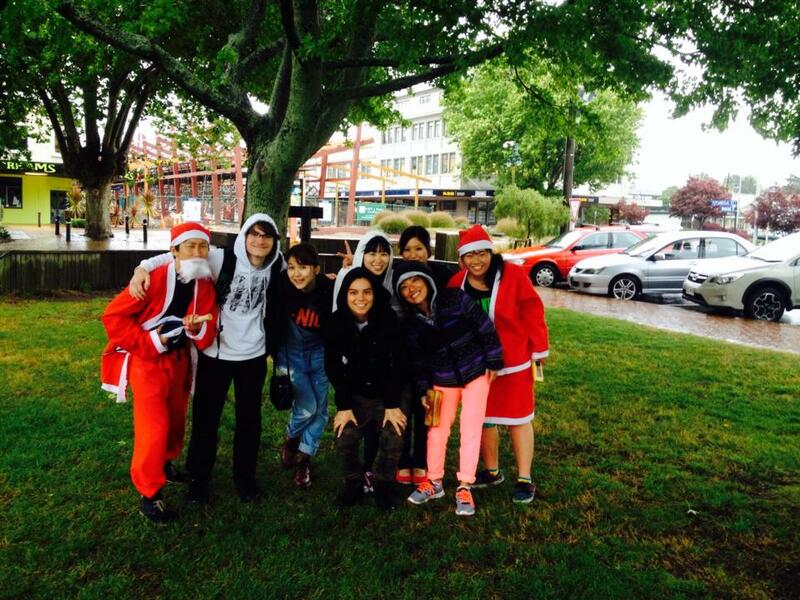 In fact a number of our students come to us specifically to enjoy a Kiwi Christmas. We have a number of fun things happening at this time of the year. One of these is our annual Christmas Beach bash. 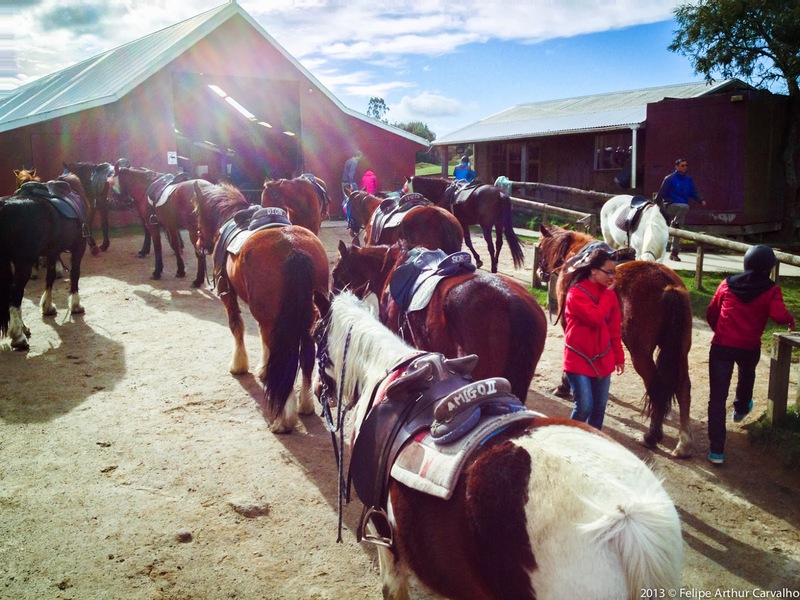 The weather was glorious and everyone had an absolute blast! 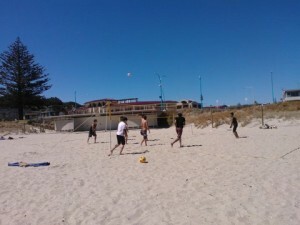 The Saudi boys had a ball in the surf even if it was a touch colder than what they are used to. Lana was given her traditional dumping – thank you, Joe and Mohammed Saleh. Tim surprised us all with his bogey boarding prowess and then by his willingness to be be buried. 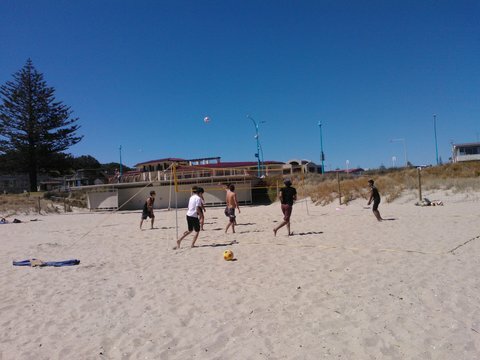 A few of the boys then combined to take on some of the locals at volleyball. 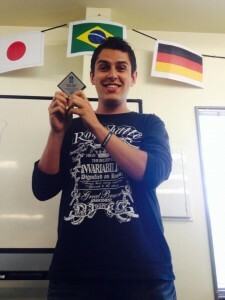 English speaker of the month was the wonderful Felipe! Well done. I think we all agree that Felipe was one of the most deserving recipients ever. I don’t think there was a single student in the school or visitor to the school that Felipe didn’t take time to chat with. He had a genuine interest in everyone and everything. Here’s a picture of everyone back in November. Aren’t we a happy looking bunch? A number of the original RELA football team has now left us as they have completed their time at RELA and their Cambridge exams. This means we have been looking to recruit some new blood into the team. I am pleased to say we have found some real stars and have returned to our winning ways. The last two weeks have seen wins for the team much to the delight of our many supporters. 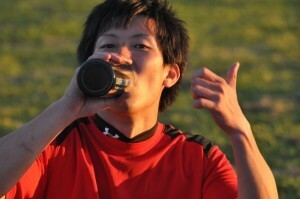 Miu scored the winning goal in injury time two weeks ago and last Friday it was Moha who slotted home an awesome goal. Lana and Miu have even developed a groovy new celebration dance. This Friday is the last game before the Christmas break, so let’s go out in style guys. The Mohammeds say thank you! RELA believes in an open door policy where students can come and talk to any of us whenever they like about anything at all. Someone is always there to help you with anything you may need help with. Elsa can give advice on your classes and academic programme, students can talk to Lana about activities and things to do in and around Rotorua. Lana can also help students to set up bank accounts. Teri will give advice on extending courses and insurance. If students need help with their visas or going on to further study, they can talk to Jan. The teachers are always around to counsel students when they need it, too. 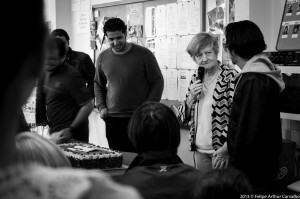 We help our students because we want to but it is always nice to be thanked and recently three of our Mohammeds, with the help of the lovely Lana, surprised us in the most wonderful way. Out of the blue at the farewell Moha, Medu and Mohammed Saleh presented the staff with the hugest cake we have ever seen. Thank you, thank you, thank you. We really appreciated the very thoughtful gesture! Students at RELA choose to do many different things after they finish their English studies with us. Some of them go back to their own countries and back to their job, university or school. Some find new jobs using their newly acquired English skills. Some go on to further study in New Zealand and abroad. The great thing about RELA is that students are not bound to any one place after they finish with us. 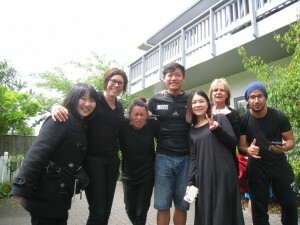 We have students studying all around New Zealand and the world. At the moment we have students at Otago University, Canterbury University, Auckland University, Waikato University, Massey and Victoria Universities, Waiariki Institute of Technology and EIT – to name but a few. Ex-RELA students are also studying at high schools and tertiary institutes in England, Ireland, Canada, the US and Australia. One such student who has just completed his Masters in Engineering Management is Aied Assiri. Aied studied at RELA in 2011 and 2012. He started in our Elementary class with very limited English and graduated from RELA as an Advanced level student. 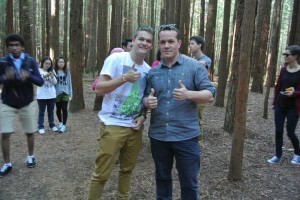 His fabulous IELTS result meant he could join the Queensland University of Technology. It is from here that he has just graduated. 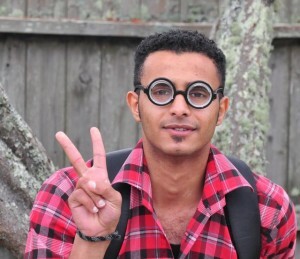 Aied now has the enviable decision to make to choose between two different job offers or go on to do his PHD in either Saudi Arabia or Australia. Well done, Aied. We all miss you but are so very proud of you! We know you’ll go far. Our Cambridge FCE and CAE classes finished on Friday. Chris, Fiona, Simon and Majorie are in Auckland today taking the exams. Chris, Marjorie and Simon are taking FCE and Fiona is doing CAE. You have all worked so hard these past three months. We know you’ll do yourselves and us proud. Good luck!! Sadly the Football team has not been going so well of late. The team started brilliantly and made it into the top division. 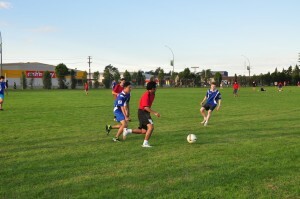 Unfortunately so did a lot of other very good teams filled with players who play regularly in the top Rotorua league. Our team has put up some good performances but have not had a lot of success. 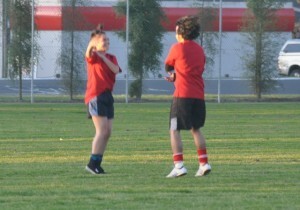 They have lost two of the recent games on a penalty shootout 6-5! The team is playing really well and we are still proud of all of you. Three of the team have now left the school so we are looking for some new super stars! 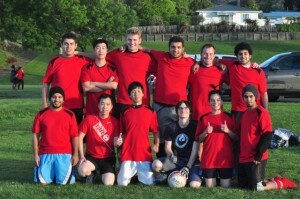 Friday was the first outing for the newly formed RELA Football Team. 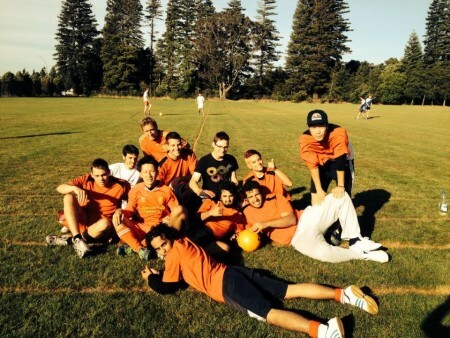 They will be playing every Friday in a summer league against Rotorua locals. 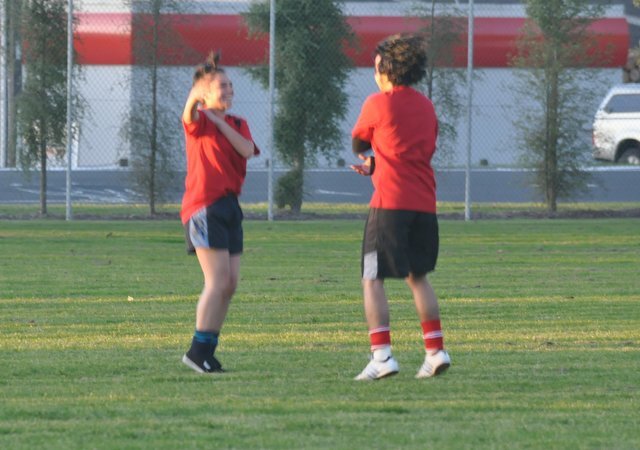 Teams are made up of 7 players each with each team having to have 1 female on the field at all times. We are very much a team of “Internationals” with players from Japan, Korea, Brazil, Switzerland, Saudi Arabia, China, Austria and New Zealand. 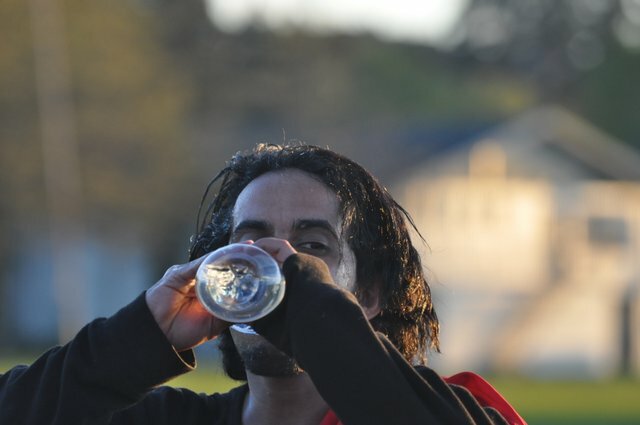 Captained by Moha, the team has had two full-on training sessions which paid off as the team won their first game 2-1! Woohoo! The first goal was a perfectly executed corner from Shoya Imagawa which Moha Alahmadi headed in. The second was scored by Christian Liggenstorfer. Can’t wait for next week guys!! We have just received some wonderful news. 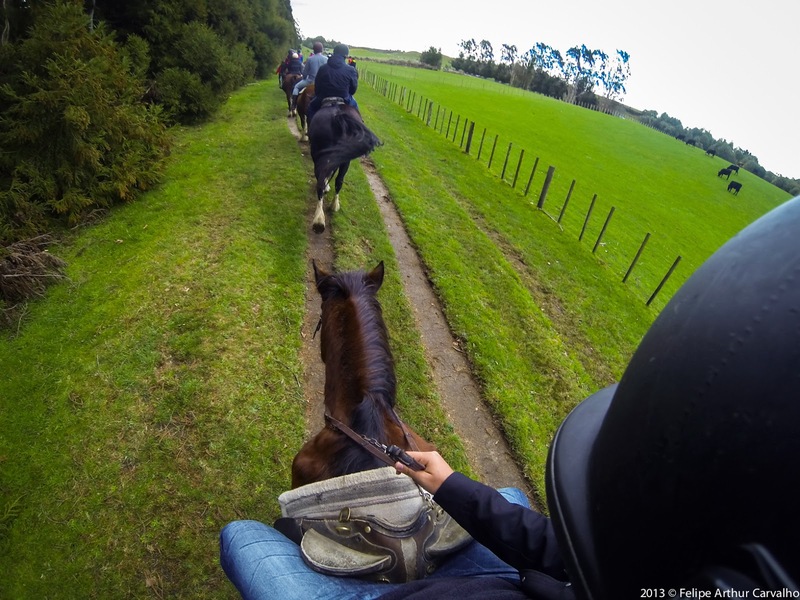 From January 2014, students who study at RELA on a student visa will now be able to work legally in New Zealand for up to 20 hours per week. Students will need to enrol at RELA for a full-time course of 14 or more weeks. For more information about this see http://www.immigration.govt.nz/NR/rdonlyres/A76CE705-44EC-46DD-835F-0701A81D0AE0/0/WorkrightsforEnglishlanguagestudents.pdf and http://www.immigration.govt.nz/migrant/general/generalinformation/news/internationalstudentchanges Not all language schools will be able to offer this as work rights will only be available to Category 1 schools. These are schools that the government organisation NZQA have assessed and who they have a high level of confidence in. RELA is a category 1 school with NZQA having a high level of confidence in both our Educational Performance and our capability in self-assessment. We have been waiting for a long time for this news and we hope it will help to make the decision for some of you to come and study with us at RELA an easier one. There are job opportunities in Rotorua and we can help prepare students to go out and look for work in our free after school self-study classes. Of course there is no guarantee of a job but there are opportunities out there. Well done to Lea Pfister from Switzerland and Dongjun Kang from Korea who won the award in July and August. Our Principal is a STAR! Everyone who has ever studied at RELA, or had anything to do with our school, knows that our Principal and Director, Chris, is an absolute star! Our school would not be the wonderful place it is if it were not for her amazing leadership and vision. We were all so delighted when she was honoured recently with a Sir Peter Blake Community Leadership Award. Below are some photos from the night and also from school with the RELA staff and Chris. Thanks, Chris, for all you do for us everyday. Our students love studying at RELA. So much so that one of them, Yang Zhuoming (Joe) from China, decided to shave “RELA” into his head! Here he is trying to convince Ron from China, Mohammed from Saudi Arabia, Simon from Austria and Kim from China to join the trend. What do you think guys??? This has been the first experience of a winter for many of our Saudi boys. Even though the temperatures have been quite mild compared to usual, the boys have really been feeling the cold. That was until they discovered the sale at Macpac and the joy of down jackets! Fun in the Winter Sun! Lana and the students took some self-portraits of themselves enjoying the break in the cold weather in Kuirau Park yesterday. Well done to Johnny from Taiwan who was May’s English Speaker of the Month and Marty from Korea who was awarded the honour in June. Awesome work, guys. Not only do students who only speak English make great progress with their language but they also make friends from all around the world. Many of these friends turn out to be life long friends and we’ve recently had a message from a couple of our ex-students who studied at RELA 7 years ago and out of the blue met each other in Holland just last month. 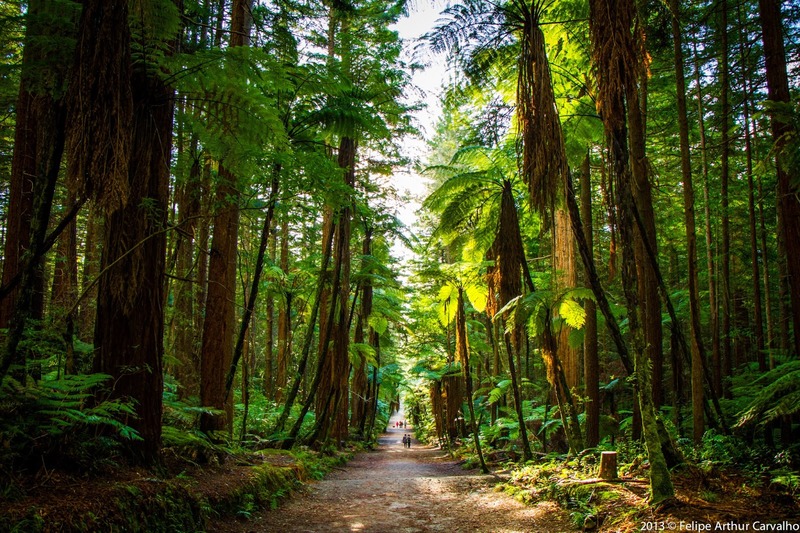 At the weekend, Thibaud Forget participated in Race 2 of the RATS (Rotorua Association of Triathletes and Multisport) Winter Duathalon held in the Redwood Forest. Thibaud did amazing – finishing 10th in the short course in his first ever multisport event! Thibaud, from New Caledonia, is a champion motocross rider back home and is competing in the nationals in France in August. I can see why he is so good. He has an awesome “never say die” attitude which will take him far. Thibaud, you’re a star! Congratulations Mr and Mrs Smith! Teri got married on June 8th to Paul Smith. It was a great night and I’m sure you’ll all agree the bride looked absolutely stunning! Below are some pictures taken during the night of some of the RELA staff. 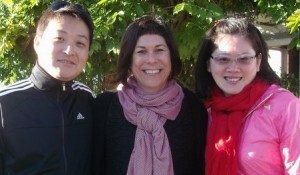 It was also great to see Yao Yuan and Gary Sun who studied at the school in 2007. 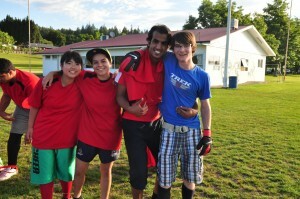 Both are in the final stages of completing their studies at Waikato University. Well done, boys. On Friday May 17 we had the pleasure of welcoming Brazil’s Jovem Nerd team to the school. The Jovem Nerd website is one of the most important entertainment media channels in Brazil. The Jovem Nerd podcast has the highest audience numbers on the Brazilian internet. Every semester the team travels to somewhere in the world to highlight that country/place and the best points of ‘nerd” culture there. This year they have been guest of Education New Zealand(ENZ) and Conversa and were here to promote New Zealand as an English language destination to their large youth audience. We were delighted to have Gustavo (Guga), Amanda, Andreia, Deive, Alexandre, and Agatha at the school. 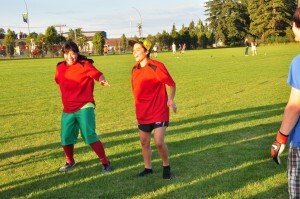 They were welcomed by a rousing haka performed by Royan, Daniel, Marty and Youssef as well as Mio, Ai, Chihiro and Takako. Well done Lana for teaching the group! Chris took them on a tour of the school before they joined classes for an hour. We then provided them, and the rest of our lovely students, with a lunch of traditional kiwi fish and chips accompanied by some wonderful salads made with fresh ingredients from our garden, all washed down with some L&P. Woohoo! 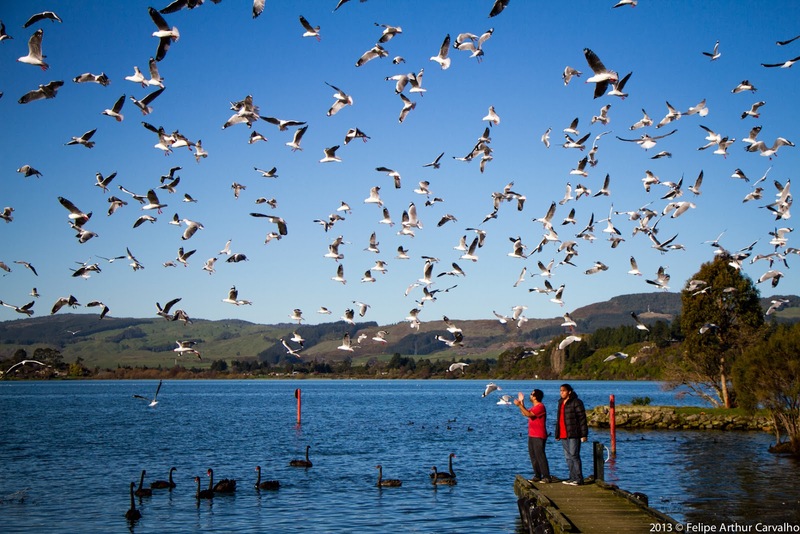 It’s official – Rotorua has again been voted Best City in New Zealand. Those of us who are lucky enough to live here have long known it and our students who come to study with us are often blown away by the city’s natural beauty. To have it officially recognised is wonderful. 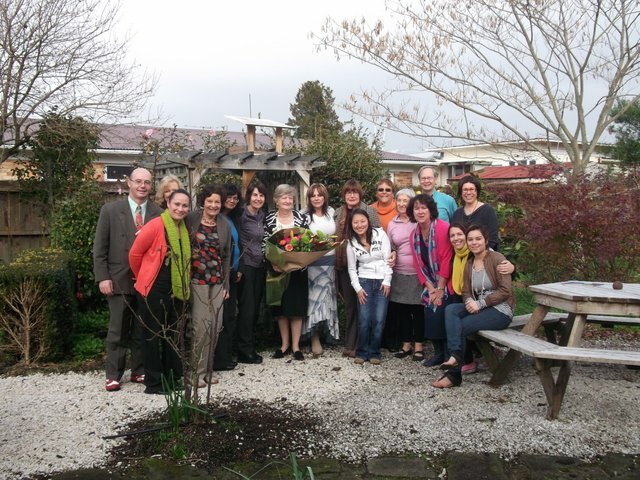 The award was presented in November 2012 by the Keep New Zealand Beautiful organisation. 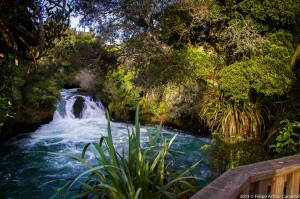 It is the seventh time Rotorua has received this accolade – the other years being 2010, 2009, 2006, 2002, 2000 and 1999. 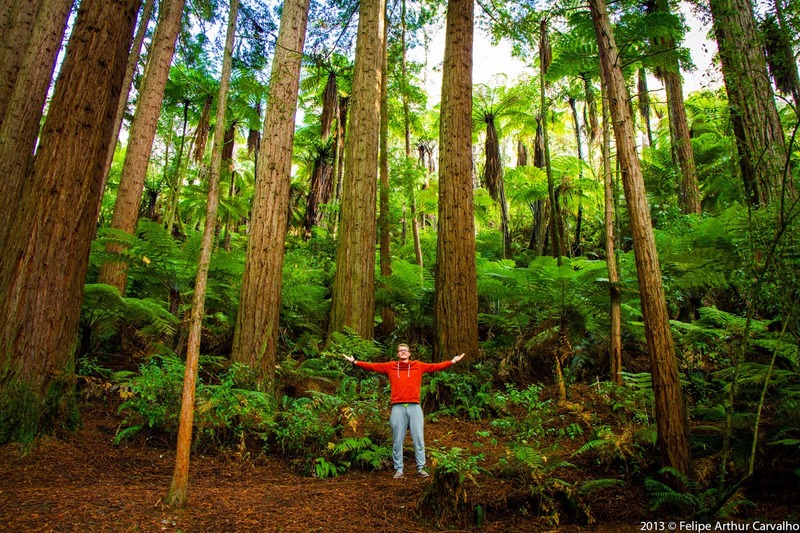 “When I left Warkworth for Rotorua in March, I thought it would be another journey in my working holiday time. I cannot believe I have stayed in this city and attended an English school since April. Well, this is life! I didn’t realise that I was ready to study English again, until one of my co-workers recommended this language school to me. The biggest change that has happened to me, I guess, is choosing to study by myself this time and not being forced by others. When I came to this tiny school, I found so many students from all walks of life, but smiles were always on their faces even though we sometimes couldn’t chat with each other fluently in English. I joined in their groups so rapidly that I forgot I was a freshman. The same situation happened in the relationships between teachers and me. Before the beginning of studying, I had to admit that I was a little bit nervous in the new environment, but when I studied in the classroom, I felt totally comfortable. During the lesson time, I always pointed out where I couldn’t catch up, and the teachers, I mean, everyone who taught me, would stop and explain to me especially. You know this is unbelievable in China’s classes. 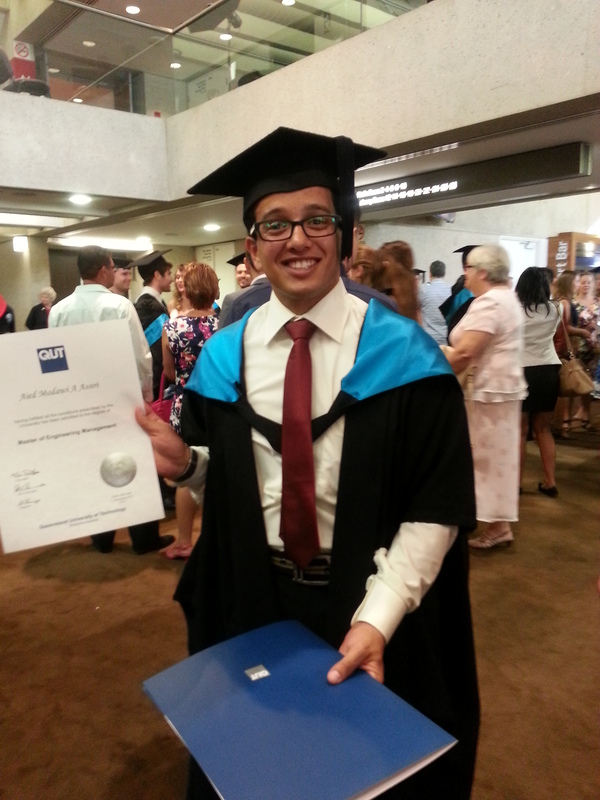 Another of our students who recently wrote their RELA story for us is Mohammed Alkhudhayr. Mohammed is one of those gifted language learners who came to RELA as an absolute Beginner and is now an Advanced level student planning to head to university soon. Having a conversation with Mohammed is like talking to a Kiwi and we are so very proud of all he has achieved. 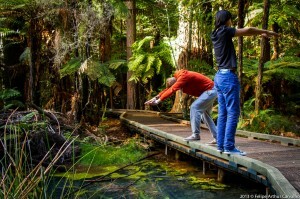 Rotorua’s natural beauty and hot spas help Rotorua English Language Academy (RELA) attract a lot of students to study English at the school and experience all the region has to offer. 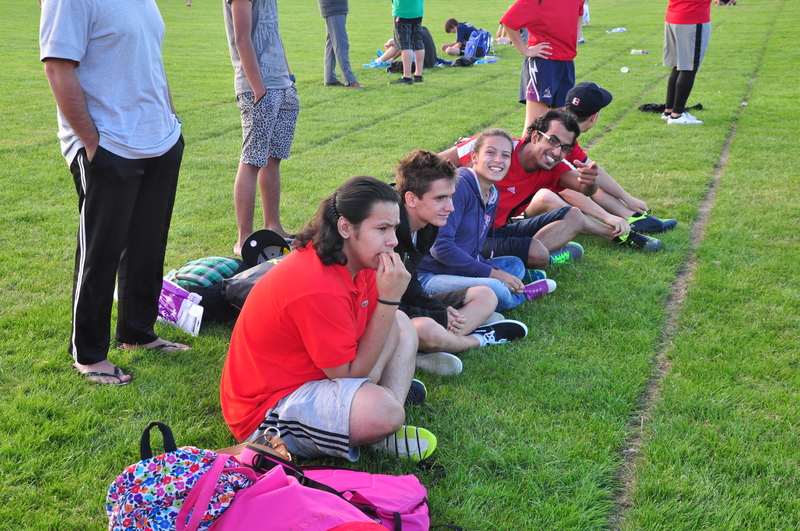 The school offers a number of different courses to International students from all around the world. In 2012 the school welcomed 410 students from 18 different countries, aged between 11 and 80 years old. One of these students is Sakiko (Saki) Tanaka. Saki’s story is quite extraordinary. Saki first visited RELA in November 2002 as a sprightly young 70 year old. Her husband had recently passed away and she felt that it was time to change her life. 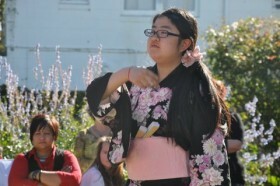 She was a part of a group of senior students who wanted to have a homestay experience and enjoy the Garden festival. Since then Saki has come back to study at RELA every year for between two and four months. This year she is studying for just 4 weeks but plans to be in Rotorua for another 4 weeks. Her Rotorua “mum” is Goldie Argent . Saki has been staying with Goldie every year since 2003 and the two have a very special bond. Goldie has visited Saki in Japan three times and Saki has been part of a number of Goldie’s family celebrations. Saki was born in Japan in 1932 in Tokyo. Learning English had always been a dream of hers and in 2001 she joined an English conversation club at Travessia Study Abroad in Tokyo. 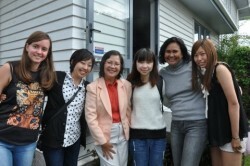 It was with Travessia that Sakiko first came to Rotorua. It was an absolute pleasure having Harriet, from Wales, with us at the school over our busy period. Sadly for us, Harriet’s partner has found work in Cambodia so the two of them are off on another adventure around the world. Harriet is planning to work in a school in Cambodia. One of the best things about working at a language school is seeing the journey that so many of our students take both with their English and in their professional lives. We especially love it when ex-students come back to see us and share their stories with us. Recently we were delighted to welcome on a visit to the school two of our ex-students – Mio from Japan and Mi from Macau. Mio and Mi met at RELA in 2008. 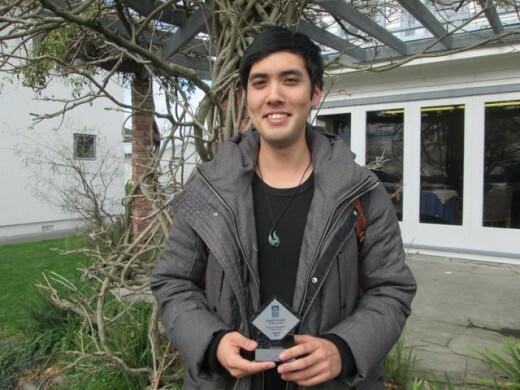 After Mi finished his studies with us, he went to Waiariki Institute of Technology and studied towards a Hospitality Diploma and worked at the Novotel hotel in Rotorua. From there he moved onto Lincoln University and has just graduated with a Bachelor in Environmental Planning. Mio left RELA and worked at the Millennium Hotel. 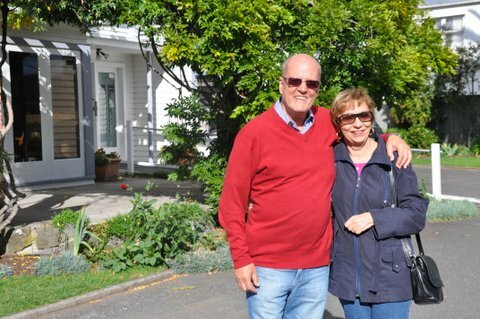 She then did various hospitality work around New Zealand and is now settled in Christchurch with Mi. 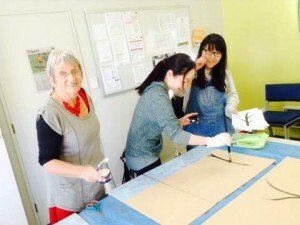 She is working for an Educational Agent bringing students to New Zealand to study. 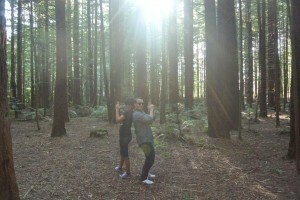 The two of them visited us with Mi’s cousin and her husband who are holidaying in New Zealand. We also had a surprise visit from a student who studied with us on 2002. 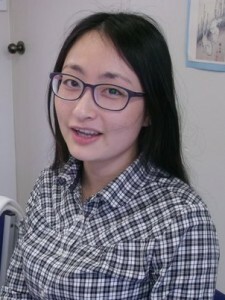 Zong Xiao Xin (XinXin) left RELA and studied for her Bachelor of Commerce at Waikato University. 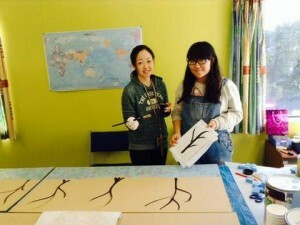 She is now working for the ANZ Bank in Auckland with another of our ex-students Nathalie who is also from China. XinXin brought her husband to visit us and to show him where her New Zealand journey began. Another student to visit us was Cheng Chen Yu (Erwin) from Hong Kong. 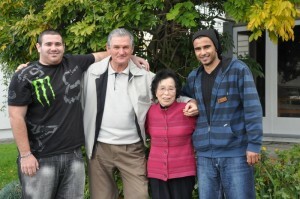 Erwin was with us in 2003 and after completing his RELA studies went to Wanganui high school to finish high school. He then did a Bachelor of Film and Media at Victoria University in Wellington before studying at South seas Film and TV School in Auckland. He is now working as a Freelance Director and Actor. Well done, Erwin! Susanne’s afternoon Integrated Skills 3 cooking class learnt to cook vegetarian food last week. The results were incredibly delicious and again they used a lot of our fresh ingredients from the school garden. Well done our lovely, Daimon from Thailand. Daimon was a very popular choice for English Speaker of the Month. 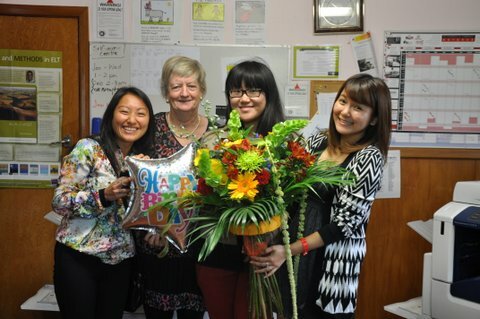 Everyone at RELA is going to miss you when you return to your university studies in Thailand. Daimon’s determination to speak English at all times not only meant that her English showed a great deal of improvement but she has also made a number of very, very close friends from all around the world. April 11 2013 – Cooking with all our Fresh Goodies! One of the most popular after school activities in the school are cooking lessons. This week saw Colleen teaching a number of our students digging in the garden for fresh salad ingredients, then learning to make a simple salad and quiche using all fresh ingredients including Chris’ yummy free range eggs. The results were incredibly delicious and for some students it was their first time to see just where their food comes from. Congratulations, Daniel on being voted March’s English Speaker of the Month. Daniel is from Malaysia and has been at RELA since October last year. Today the students and Colleen got together and made some Red Puppy cookies to sell to raise money for the Guide Dog Appeal. I think you’ll agree it all looks very delicious. Thank you to all the students who baked and to everyone who donated money. Together we raised over $120! We have also built up a wonderful relationship with Tohrei Gakuen Fujisawa High School in Tokyo. RELA has been welcoming boys from this school for the past 8 years. 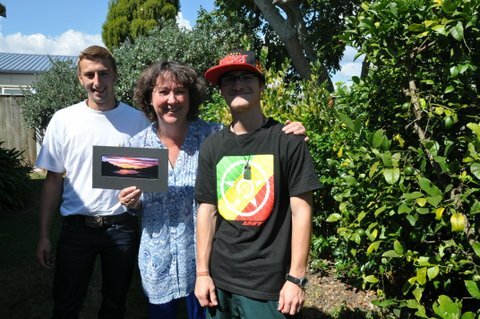 This year 30 boys and two teachers came to RELA where they had some very lively lessons in the mornings with Elsa, Janene and Dan and in the afternoons they integrated into classes at Rotorua Lakes High School. The boys worked hard in all aspects of their schooling but had a lot of fun too! One of the highlights of this tour was the haka they performed for us on the last day – check it out here. This year marked the 10th anniversary of RELA welcoming a tour group from Sendai Shirayuri Girls School in Sendai, Japan. The relationship we have built up with the school is a very special one indeed. 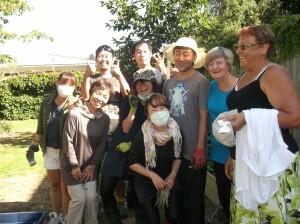 This year we welcomed 23 students, two teachers and our very good friend Miyoko Urasawa from Intersupport in Sendai. The girls stayed in homestays for 10 days, joined RELA classes in the mornings with Barrie, Harriet and Jan and in the afternoons they went out and about on activities. A highlight for this group is their trip to Kawaha Point primary school. 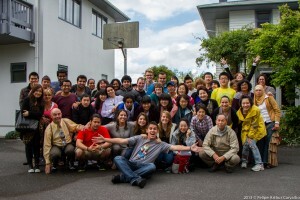 The group spend a day at the primary school teaching the students some Japanese games and songs. 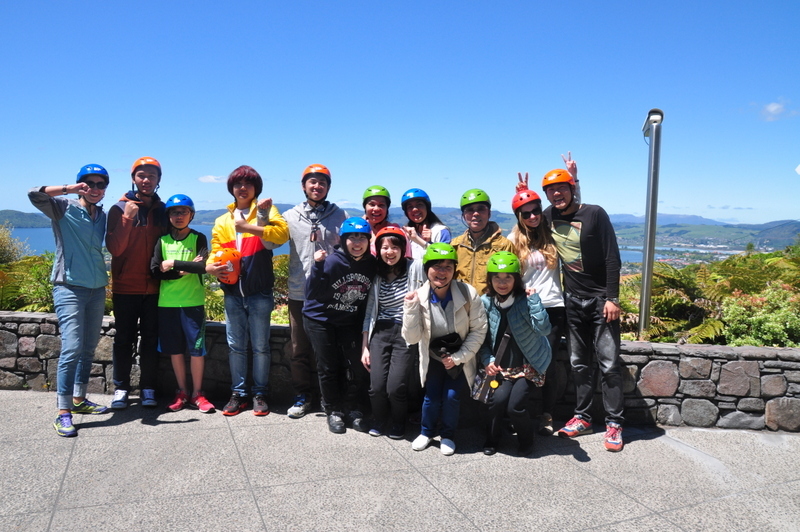 It is a wonderful experience for both the Shirayuri girls and the kiwi kids. Another highlight of the trip has always been the leaving ceremony. 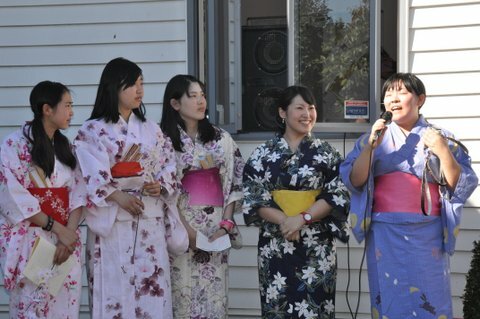 The girls spend a lot of time in japan preparing for this and always put on a wonderful show for our RELA staff and their homestay families. We look forward to another 10 years of fun with girls from Sendai Shirayuri Junior High School! As well as the new garden, we’ve recently painted the classrooms in the main teaching block. Check out all the funky new colours, and our wonderful staff and students! Susanne and the Pre-Intermediate class in Room 4. Angela and her Advanced boys in Room 2. Debbie in Room 1 with the Intermediate class. Sandy’s Elementary class in Room 6. Our Cambridge FCE class with Robyn in Room 3. 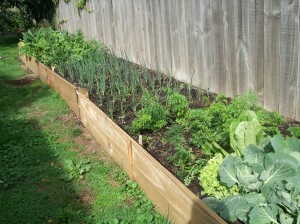 RELA now has its very own vegetable garden. 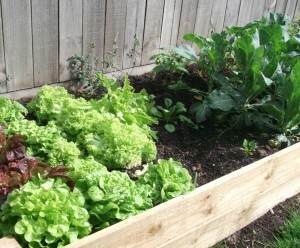 The RAW food movement is huge around the world and we wanted to start helping our students to understand where a lot of the food they eat comes from and to give many of them their first experience of gardening. 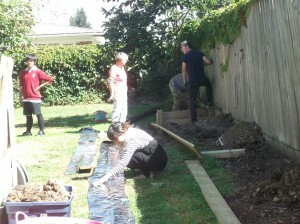 A group of about 10 worked together to first build the garden, shovel in the dirt, and horse poo ;-), and finally plant out the vegetables. 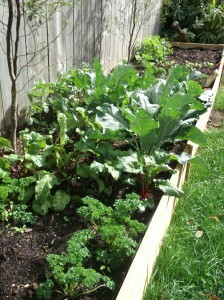 Now less than a month later, the garden is producing some very delicious food. 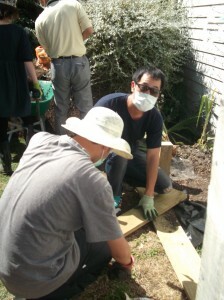 The Expert Gardening Team! Well done guys.